The Flexlux Marina modern adjustable recliner lets you change positions smoothly and effortlessly. The headrest is adjustable in height and angle, to get the best position for reading, watching TV or relaxing. 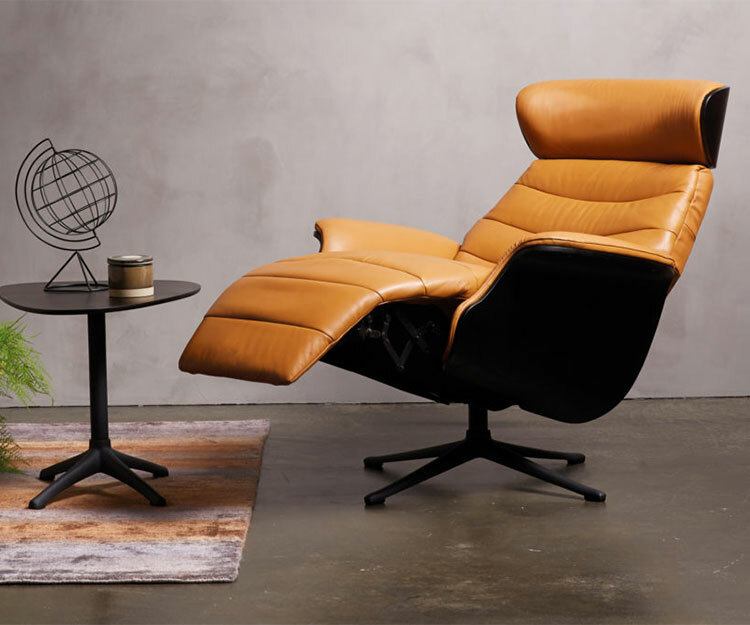 The Flexlux Marina modern adjustable recliner lets you change positions smoothly and effortlessly. You will find a motion touch panel under the arm, perfectly placed for adjusting the back angle and the built-in footrest with a double motor function. This ensures you will find pleasure in every moment. Choose between wired motion on model 3100 or a wireless solution with rechargeable battery on model 3110. The headrest is adjustable in height and angle, to get the best position for reading, watching TV or relaxing. The shell of the chair is available in 5 different plywood surfaces and colors, or fully upholstered. The legs are available in polished aluminum, black aluminum, walnut, oiled oak or white oak wood. Our sheepskins are exclusive, smooth, comfortable and have a natural touch and feel. The skins are natural, so the curls, structure and color tones of the wool will vary. Each skin has its own specific features and characteristics, and not two sheepskins are completely identical. These sheepskins add a genuine cosy feeling to any room.